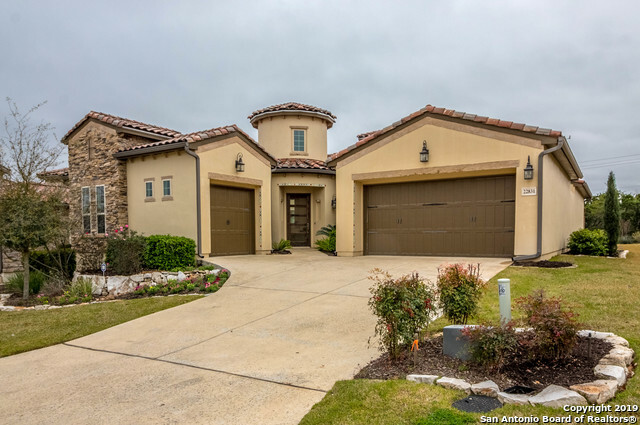 All CAMPANAS homes currently listed for sale in San Antonio as of 04/24/2019 are shown below. You can change the search criteria at any time by pressing the 'Change Search' button below. "Gorgeous resort style living in this like-new 3 bed, 3.5 bath, 3-car garage Sitterle home. Very open floor plan together with gourmet kitchen, covered patio & backyard facing greenbelt make this an entertainers dream. Master retreat with large en-suite, his/her closets & over sized walk-in shower. 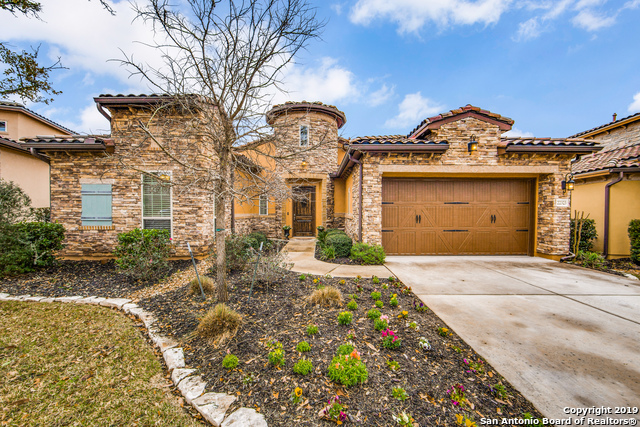 Located within minutes of TPC San Antonio, shops, restaurants, hospitals, schools & airport place this home in a fabulous location. The amenities are bar none.This is an absolute must see, schedule you"
"Beautiful Styled Home in Resort Community of Las Campanas. Adjacent to Greenbelt area and walking paths. Luxury Clubhouse, Tennis courts and community pool. Home features include Crema Marfil Marble floors throughout home. 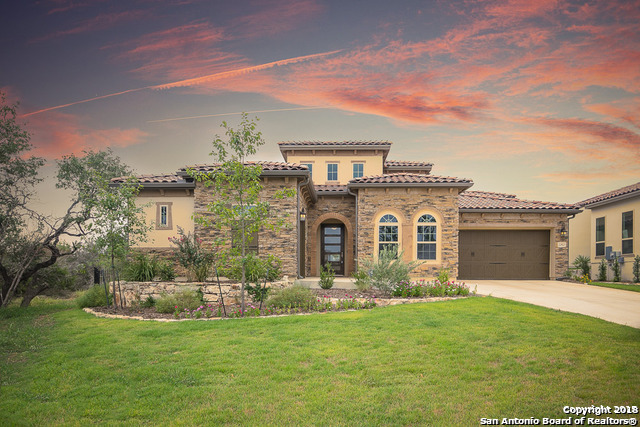 Home is the Volterra II plan with 3 bedrooms and full office. Multiple upgrades to include 24 ft sliding doors. Covered Patio with remote control UV Protected Ranier exterior screens. Beautiful Granite and Marble tops." "Great location with outstanding amenities! Looking for a patio home lifestyle? It doesn't get better than this! 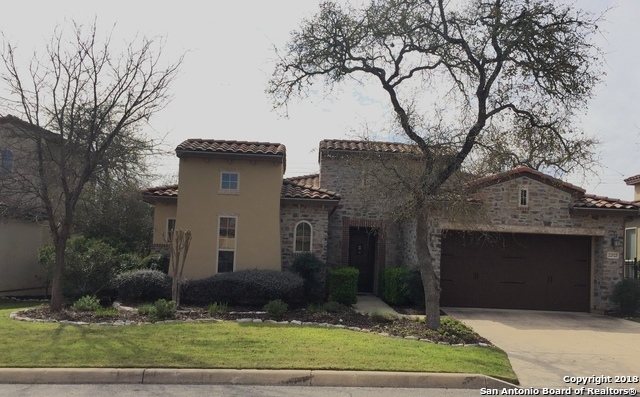 Beautiful home located within a private, gated section of Cibolo Canyon. 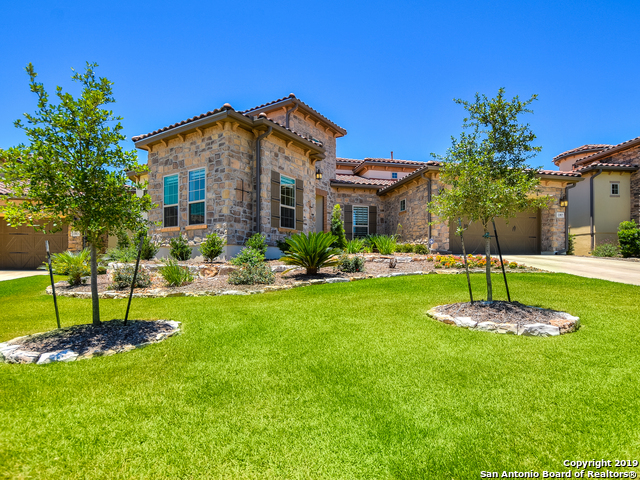 Walking distance to JW Marriott Hill Country Resort and award winning golf courses. 10,000 sq ft community center with a fitness center, game room, billiards...Pool, tennis, walking and biking trails, indoor and outdoor kitchens and rentable rooms and ballroom. The home has it all too! Gorgeous interior featu"
"Sitterle Luxury Garden Home with high soaring 18' ceilings with upper transom windows to bring in natural light. Open kitchen with large island, double ovens and wine chiller. Dining space just off the kitchen. A 3rd bath at bedroom 2 makes a separate guest suite. Oversize garage allows for larger vehicle parking. Two outdoor living spaces - one with a pergola top - and a large side yard that sits next to a large open common space. Located on a cul-de-sac. Front and rear lawn maintenance." "Luxurious NEW! 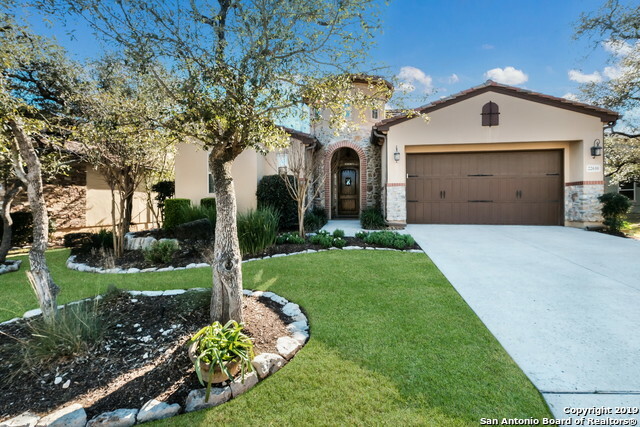 Sitterle Garden Home 3 Bedroom, 3 Bath, 2 Car garage, Stacked stone exterior, backs up to a greenbelt w/ jogging path. 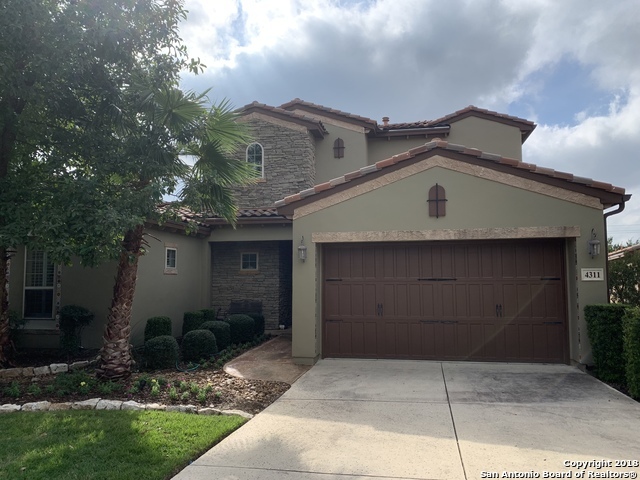 High ceilings, 8 ft doors, Gourmet kitchen w/ granite counters, 6 burner gas stove, double ovens,oversized kitchen island, 42 cabinets wine chiller, under cabinet lighting, SS appliances, gorgeous upgraded master Spa Bath 42X60 glass enclosed walk-in shower. 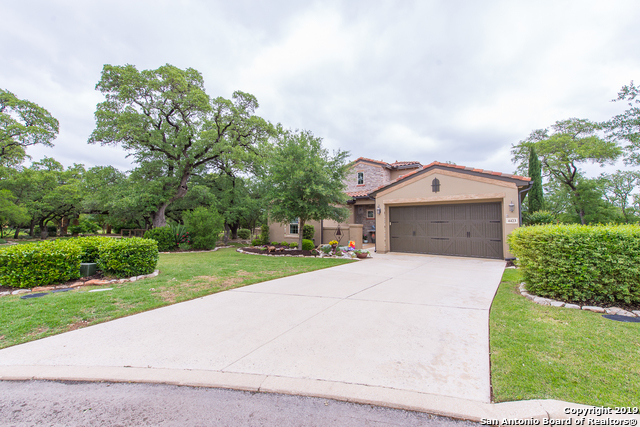 Superbly landscaped, beautiful large covered patio.50 Year tile roof. Not enough space to describe this a"
"ONE story immaculate GARDEN home on GREENBELT in the prestigious Campanas close to the JW Marriott and TPC Golf course. Dramatic rotunda foyer with faux custom painting thru out, wood and custom tiled floors. Island kitchen with Reverse Osmosis, 5 gas burners, double ovens. Stone stacked custom wall in family room with surround sound and gas fireplace. Plantation shutters. Water softener, irrigation, guttering, foam insulation. Covered patio with lots of privacy overlooking the greenbelt." "Walk to the Valero Texas Open this year! Exquisitely detailed resort style home accented by arches, wood floors, plantation shutters,wood look tile, stainless appliances in a chef's kitchen with custom island minutes from TPC & HOA pools/amenities! Private master with soaking tub, separate shower,dual vanities + his/her closets.Private ensuite guest suite. Study 3rd bedroom. Upstairs gameroom with 1/2 bath. Outdoor paradise with covered side patio plus large deck-Massive oaks-Backs to the walkin"
"Situated on a cul-de-sac, in a gorgeous park like setting, you won't want to leave. This home is just as beautiful inside as it is outside. 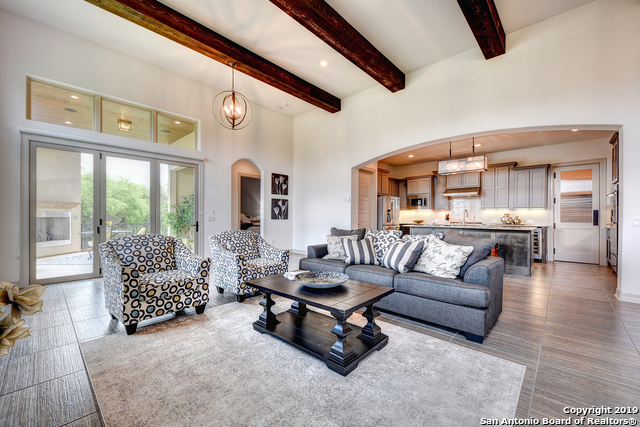 The open living area has 20' high ceilings and gas fireplace. The gourmet kitchen boasts a fantastic island with granite but check out the pop-up mixer station and soft close cabinetry. Outdoor kitchen, open side patio with waterfalls and even an enclosed back patio! Don't forget to see the custom shower & closet in owner's suite. The details show the pri"
"Bring all reasonable offers View this amazing home virtually Better than new, amazing upgrades to include wet bar, viking professional range, custom window coverings, two outdoor living areas, backs to an amazing green belt, fully fenced, huge drive way, dedicate office, media room, central vac, custom interior paint, upgraded bathrooms and much more Please check drone for detailed look of the patio"
"You will love this delightful one-story luxurious garden home- giving you 2,260 sq. 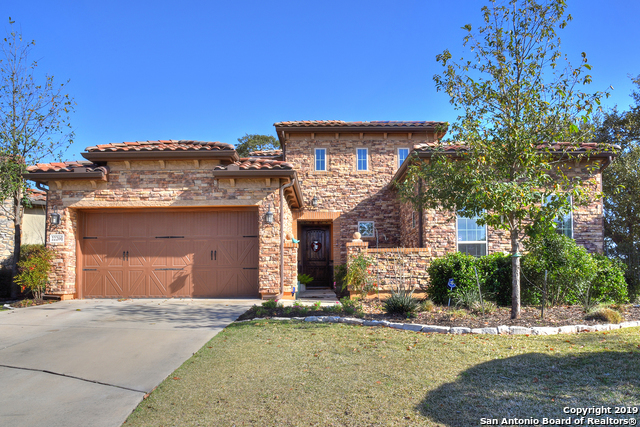 ft. of spacious elegance, with beautiful tile floors throughout and a gourmet kitchen. Imagine cuddling up in the living room to a cozy fireplace with a good book. Or relax in front of your second fireplace on the loggia where the backyard backs up to a green space and hiking path. All of this situated in a lock and leave, friendly neighborhood with outstanding schools, only minutes from shopping, hospitals and m"
"Walk it virtually, pictures don't do it justice. By far one of the most upgraded homes in Campanas and best price per sqft. 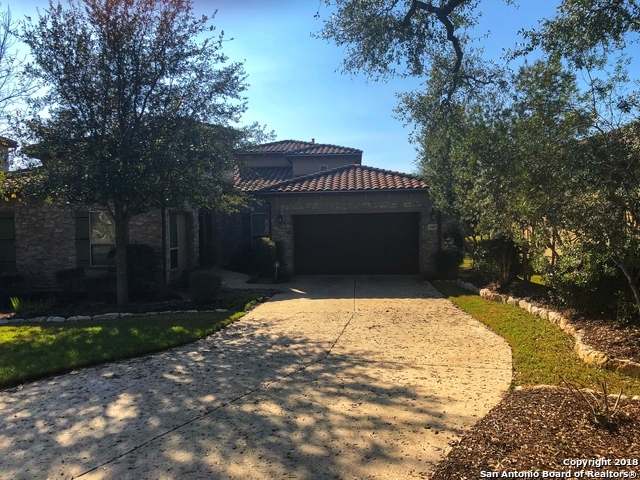 Note upgrades: pool, dedicated office, 4 bedrooms, 4.5 baths, amazing green belt, shutters, wood floors, spa bath in master bath, built-ins, extended driveway, solid counter tops, custom light fixtures." "ENJOY QUALITY OF LIFE IN THIS PRESTIGIOUS GATED COMMUNITY NEAR THE WORLD CLASS TPC GOLF COURSE, RESTAURANTS & RESORT; YOU'RE SURROUNDED IN LUXURY THE MINUTE YOU WALK THROUGH THE DOOR; THIS SPACIOUS 1 STORY FEATURES SOARING CEILINGS, 8FT SOLID WOOD DOORS, STAINLESS STEEL JENN-AIRE APPLIANCES INCLUDING DOUBLE OVENS & WINE FRIDGE, SUBZERO FRIDGE, CUSTOM CABINETS, CUSTOM BUILT-INS, PRIVATE LOGGIA, CENTRAL VAC, MATURE OAKS; FAMILY ROOM & MASTER BEDROOM FURNITURE ARE VIRTUALLY STAGED, AGENT CAN'T VER"
"Amazing home on a green belt walking distance from the amenity center. Open floor plan with high ceilings, 2 master bedrooms with large walk in closets, 2 bedrooms down. Stainless steel appliances, solid counter tops, central vacuum, in wall pest control. This home is a vacation home with sporadic use"
"Amazing jewel of a home on a greenbelt in close proximity to the JW Marriott. Not a single detail has been left out including custom tile patterns, a gourmet kitchen that you would be proud to entertain in, high ceilings, rock interior walls, granite in baths/kitchen, no carpet! To top it all off, lots of outdoor living space w/ green space behind your home! HOA fees include unlimited gym access, pool, private clubhouse kitchen/entertaining areas & full yard maintenance. 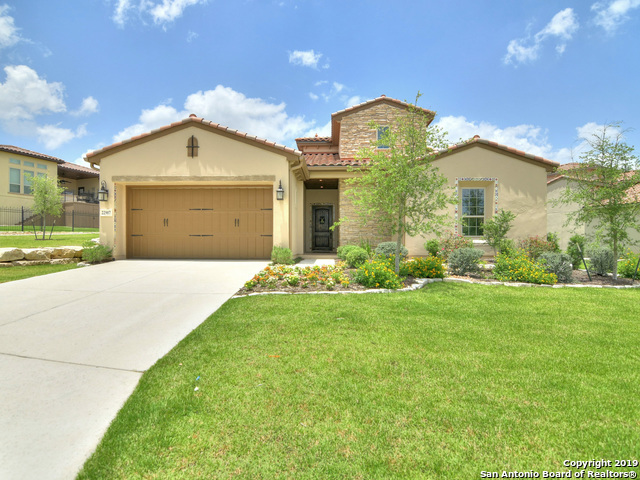 Perfect low maintenance"
"Elegantly designed one-story in Campanas. Conveniently located adjacent to private entrance. Open concept with an abundance of windows and two patios, this home is perfect for entertaining. Enjoy the luxurious master retreat with dual vanities, bright tile and granite, large shower and closet. The kitchen is a chefs dream, with huge granite island. 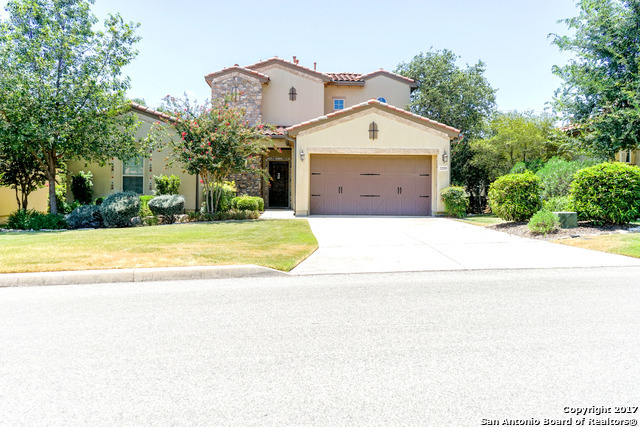 Community offers luxurious pool, clubhouse, and tennis courts, and is located minutes from the JW Marriott with its tour golf courses and amenit"
"Gorgeous 1 story home with huge amount of upgrades & in perfect condition well kept. Lg. Master bedroom w/ double closet, deep tub & shower, double vanity window coverings. Great kitchen w/huge island, 5 burner gas stove, SS appliances, tons of cabinet space. 3rd bedroom could be study or exercise room. Formal dining area used as TV room. Open concept, high ceilings, ceiling fans, lg. utility room and cozy side patio. No neighbors in backyard, very private. Clean, neat and well kept."